NEWS FLASH: I was the Sunday Poem Gwarlingo feature on Sunday, May 12. Please check it out! 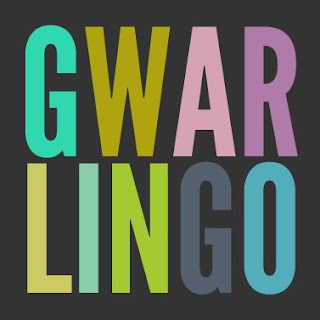 Several months ago I came across Gwarlingo, an online site dedicated to advancing the arts. The site is run by its creator, Michelle Aldredge, who previously worked at the MacDowell Colony but left in 2011 to pursue and support the arts with this new venture. Not surprisingly, Michelle is herself a writer. What, you might ask, does Gwarlingo mean? It's defined this way at the website: "Gwarlingo is a Welsh word for the rushing sound a grandfather clock makes before it strikes." Michelle strikes a few times a week with posts that feature filmmakers, musicians, novelists, memoirists, and, bless her, poets. Part of her mission is to feature artists who might not have been absorbed into the mainstream, so you can expect to find some new faces and work at the site as well as some familiar ones. 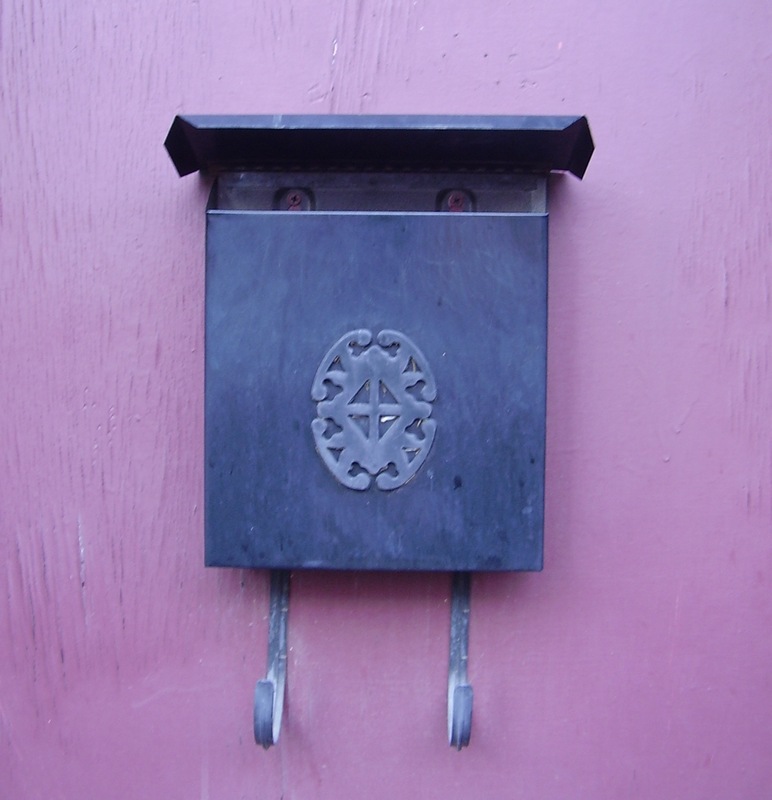 All past poet features can be found in the Sunday Poem archive. There is also a complete archive for all artist features. I came across this site when Michelle initiated her fundraiser, with a goal of raising $15,000, a sum that would allow her to keep the site ad-free. Like you, most likely, I come across a number of fundraising projects for artists. I can't contribute to all of them; nor are all of them equally worthy. But this one struck me as very worthy as the whole idea is to support other artists and to promote the arts. Plus, Michelle offers some enticing rewards for contributions. Of course, my favorite feature at Gwarlingo is the Sunday Poem. A single poet is selected for the feature which includes a bio, some photos, cover images, excerpts from reviews, and a sampling of poems. This can be read at the website or via email delivery. Needless to say, I was thrilled when Michelle contacted me for a Sunday Poem feature. 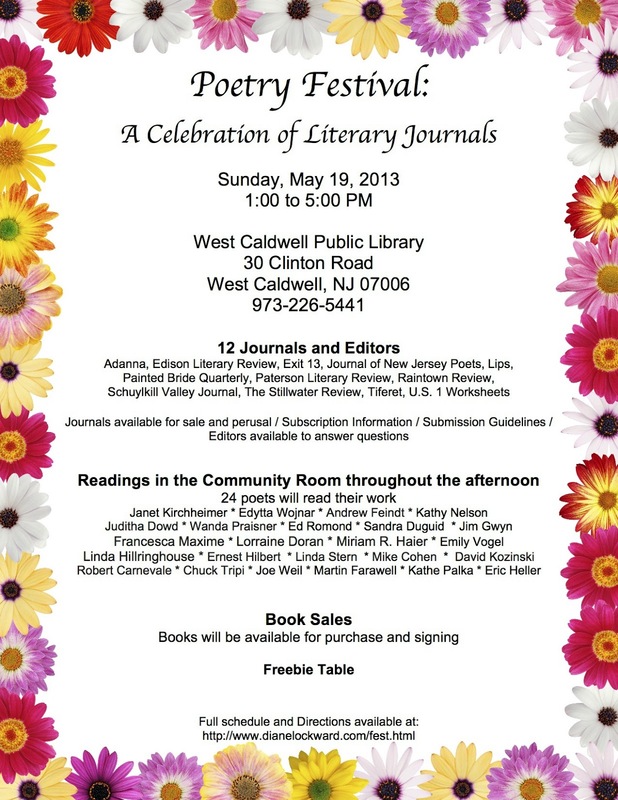 Thus I became the featured poet on Sunday, May 12, Mother's Day. What a perfect gift! Michelle chose four poems from my book, Temptation by Water: "Implosion," "How Sarah Wins the Essay Contest," "The Jesus Potato," and "Seventh-Grade Science Project." If you're not already a subscriber, I encourage you to become one. Simply go to the Gwarlingo site and add your email address to the box in the righthand sidebar. 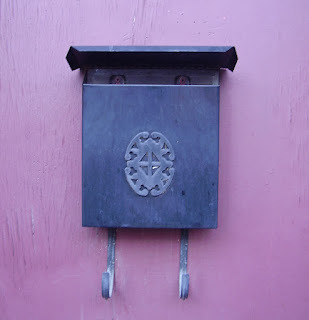 Then you, too, will receive the Sunday Poem and a mid-week piece by email. And if you can make a contribution, please do so. Look for more information at the site, again in the righthand sidebar. Michelle is very close to her goal, but would surely appreciate a bit more help. Should you care to contribute, you'll stand with others who support Michelle's mission to promote the arts. Donations in any amount can be made. But even if you can't contribute, all of the past articles and gorgeous visual work remain available to you. Enjoy! 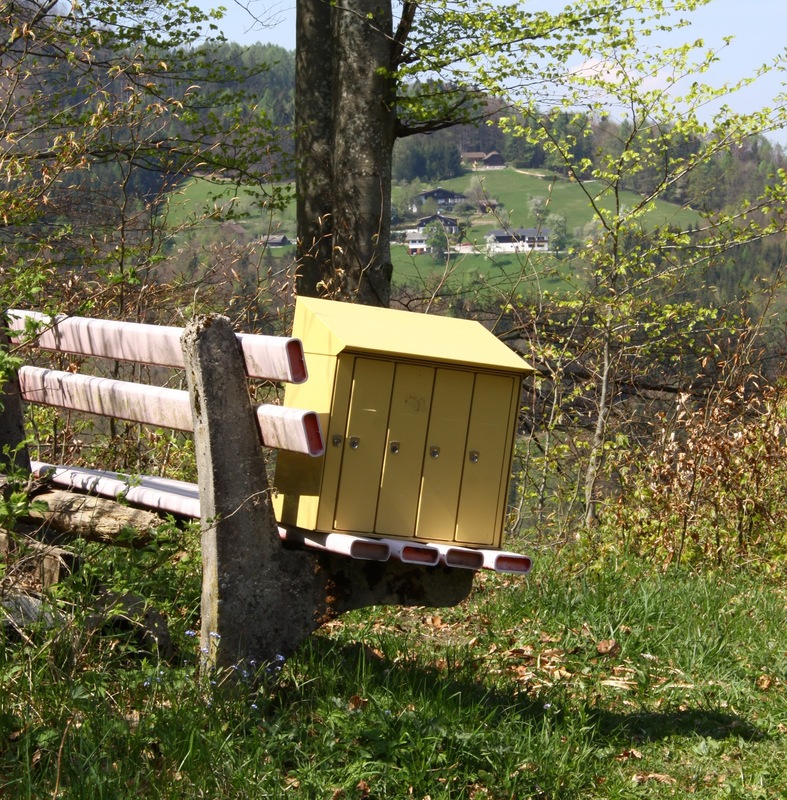 This mailbox is ready to receive lots of good mail. I gave the lists a thorough updating last year and added links for your convenience. If you find an error, please let me know. This mailbox only accepts Acceptances! 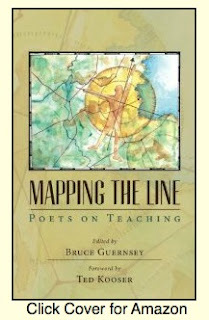 If you're looking for some ideas to fire up your own poetry or that of your students, Mapping the Line: Poets on Teaching provides terrific material for poets, teachers, and students. Editor Bruce Guernsey is Distinguished Professor Emeritus at Eastern Illinois University where he taught for twenty-five years. He is also an accomplished poet with six full-length collections, most recently From Rain: Poems, 1970-2010. His work has several times been featured on Ted Kooser's American Life in Poetry column. The poem, Back Road, was featured just this past March. Following his retirement, Guernsey became the editor of Spoon River Poetry Review. As editor he introduced a regular feature called "Poets on Teaching." That was one of my favorite parts of each issue of the journal. During his tenure as editor, Guernsey would invite one well-established poet who was also a teacher, one per issue, to write an article about the craft of poetry and to include an assignment that teachers and poets might use. When he left the journal, Guernsey took the feature with him. He has now gathered those articles, as well as some he subsequently solicited, into Mapping the Line: Poets on Teaching. I am happy to be included in this outstanding book and happy to recommend it to you. The book begins with a Foreword by Ted Kooser. That is followed by twenty essays, covering a wide range of topics. For example, there's "Who's Writing This?" by Cecilia Woloch, "Metaphor as Form" by David Baker, and "Three Exercises for Free Verse" by Wesley McNair. 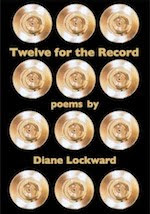 My own contribution is "The Extravagant Love Poem," a discussion of the blazon and anti-blazon with an exercise employing metaphors. Other authors include Baron Wormser, Kevin Stein, Andrea Hollander, M.B. McLatchey, Robert Wrigley, Doug Sutton-Ramspeck, Guernsey, David Baker, Miho Nonaka, Todd Davis, Sheryl St. Germain, Charlotte Pence, Megan Grumbling, Laurie Lamon, Betsy Sholl, and Claudia Emerson. Teachers will find this a very useful and informative collection. Poets will find it instructive and inspirational. Students will find that it contains a traveling workshop. This book will be a happy addition to your classroom or your desk at home. I'm delighted to have Robert Wrigley as my guest poet for this occasional feature at Blogalicious. 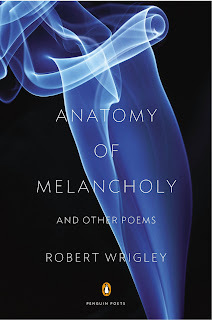 Robert Wrigley is the author of nine collections of poetry, most recently Anatomy of Melancholy. 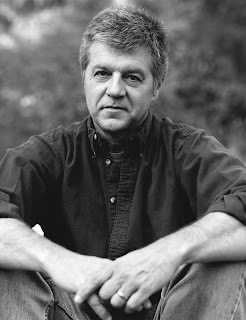 His awards include the Kingsley Tufts Award, for Reign of Snakes; the Poets' Prize, for Lives of the Animals; and the San Francisco Poetry Center Book Award, for In the Bank of Beautiful Sins. He has been the recipient of fellowships from the National Endowment for the Arts and the Guggenheim Foundation. He lives in Idaho, in the woods, on Moscow Mountain, with his wife, the writer Kim Barnes. He is the Director of the MFA program in creative writing at the University of Idaho. Today's poem comes from Anatomy of Melancholy. Earlier tonight an owl nailed the insomniac white hen. and perhaps the hundreds of vanished eggs of her long life here. diminishing in the east, one the owl would not ever drop. of her fallen feathers, under the moon and along the meadow grass. by moonlight the too-blue shimmer of my eyes, and running for its life. DL: Almost every line of this poem contains some kind of musical device. Line 1, for example, has the internal rhyme of tonight and white. The -ight sound is strewn throughout the poem—moonlight, night, might—as are the long i words—Life, friar's, I, sky lights, eyes. There's also a good deal of assonance and alliteration in the poem. Tell us how you create this network of sounds. RW: Well, there’s no formula; there’s no scheme or discernible pattern. It’s just what I’ve always referred to as writing—which is, for the most part, the only way I’m interested in writing—via sound linkages. My poems, generally at least, work toward sonic unity. As much as anything else, this is the way I learned to make poems, allowing the sounds of individual words and syllables not only to unify the poem but even to determine its progress. Richard Hugo, who was one of my teachers, always said, when the poem requires a decision between music and meaning, always pick music. This doesn’t mean that meaning—whatever that might be; poems mean, but how they mean is vastly more important than what—should not matter. It means, rather, that “picking music” allows the poem’s language to conceive itself into being. And it forces the poet to employ all of his/her resources in order to make the conceptions of the language cohere. In this regard, the sound of the poem, as Frost would have said, is the sense. I might also say that I have a particular fondness for the musical power inherent in long vowel sounds. Consonants are mostly percussive, and I love percussion. But vowels are notes. Balancing vowels and consonants is the way we make our music on the page. DL: Talk about your long lines. Did you write this poem in long lines or revise into them? RW: I write line by line. Always do. And I have to have some sense of the line, however loose it might seem to someone else, in order to see how the poem might move on. As with the sounds of the words, I let lines—and, therefore, line breaks—help determine the poem’s progress toward a unified structure. As I remember writing this poem, I can’t recall ever trying to make that first line be anything but a longish (15 syllables in all) declarative sentence. And that declaration demands elaboration. The verb nailed, and the adjectives insomniac and white are where the poem’s complexity is begun. Nailed, in this context, is a kind of vernacularism for gotten or, in the case of the hen, killed, although it may also be said that Japan was itself nailed by the March 11, 2011, earthquake. White is pretty ordinary, adjectivally-speaking, but it comes into substantial play in the totality of the poem’s imagery. The natural symbolic values of white are exactly what they are. Insomniac is the ringer, if you will; it was for me in the writing. Chickens don’t have trouble sleeping, usually, but animals have mysterious . . . skills and sensitivities. Thus the cancer-sniffing dogs later on. Once I had the first line, I felt the rhythmical contract was established, so most of the subsequent lines have a similar length, both in terms of syllables and stresses. This is also a unifying strategy. 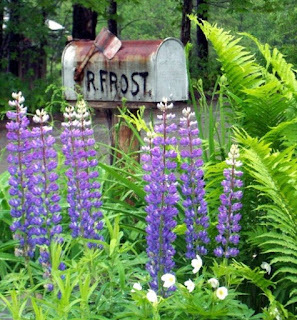 Like Frost, I believe the poem is (perhaps even must be) a momentary stay against confusion. DL: I've noticed that you have an affection for symmetrical verses, i.e., stanzas with the same number of lines and fairly even line lengths. But I've also noticed a lot of variety from poem to poem in your book, Anatomy of Melancholy. What made you choose 3-line stanzas for this poem? RW: I like the challenge of regularizing, I suppose. Building stanzas that are not only symmetrical but whose construction comes to be a necessary component of how they get said what must be said: well, that’s just one of the many things that might be described as increasing the degree of difficulty in the work of writing. And I’ve always been of the opinion that increasing the degree of difficulty formally or structurally is part of the process of deepening the poem’s complexity. I like to think these particular stanzas may be read vertically—that is, reading only the last word in each line, in three-word increments—and that a sense of the poem’s deeper statement may emerge. The difficulty of the art is what addicts us to its creation, after all. We become infatuated with the possibilities of that difficulty, the challenge of the problem of the poem’s writing. I do see, looking back at earlier drafts, that, as I closed in on a final draft, the poem was first in six quatrains. Meaning the opening quatrain ended with a period, with her long life here. This would also have been when I noticed the effect of organizing the poem into tercets instead, so that sadness of the world is both the end of a line and the end of the first stanza. That stanza break allows the opening stanza’s final phrase to ring a bit longer, and what else is the poem about but the sadness of a world in which there is often no running for your life—not from owl, earthquake, or fate. DL: I see another kind of symmetry in this poem, one of content. Tell us about the parallel between the owl and the hen introduced in the first stanza and the coyote and the speaker in the last stanza, the link between Cassandra Blue and the too-blue shimmer of the speaker's eyes, and the shared sleeplessness. RW: The owl is not malign; it’s just an owl. The coyote, like the owl a predator, is drawn by the scent of potential prey, but it sees the eyes of the speaker in the moonlight, and sensing danger runs off. The too-blue shimmer is a play on blueness, depression, which both the speaker and the hen are afflicted by, for some reason. That the owl’s named Cassandra suggests that her sleeplessness has something to do with a gift (or more likely a curse) for prophecy, even if she knows only that something bad is about to happen. The unspoken presence, of course, is the earthquake, which is also not malignant but merely catastrophic. If there is a greater curse than knowing what will happen, I can’t imagine what it might be. And yet, the catastrophe that befalls the hen is not something, despite her Cassandra-like gift, she can foresee. Unless it is, which is all I think I can say, without saying too much. DL: Your poem has several metaphors for the dead hen: white hankie, leghorn ghost, Corpse candle, friar's light, will-o'-the-wisp. Do you have a method for getting your brain to unleash these metaphors? Were there any that had to be omitted? RW: Only that most of them are synonyms for one another: corpse candle and friar’s light being more of less the same thing as will-o’-the-wisp. White hankie as a kind of remembrance, I guess, and leghorn ghost being, for better or worse, chickenish. But the speaker’s role in the poem to this point is thoroughly passive; he’s a witness to the hen’s pondering and to her being killed. When this onslaught of figures comes in, he’s still sitting on the porch, but he’s active in his imaginative re-seeing, a re-seeing that is an endeavor to understand not only what he has seen and continues to see, but, as it turns out, what he will come to know the larger significance of. DL: I consider a title the poem's first invitation to the reader. Yours is simple but elegant and inviting. Nevertheless, I wonder about its connection to the poem. The dating of the poem suggests some connection to the earthquake that occurred on that date in Japan, but the poem is clearly not set in Japan. Is this another kind of metaphor? RW: The title came first. This is, almost always, a terrible thing for me. I was probably looking up something else, in a book or on-line, when I came across the phrase earthquake light, and an explanation thereof. It’s a real thing. Mysterious, abundantly theorized upon, and even challenged as myth, it’s something you can look up. There have been many reports of peculiar, seemingly sourceless lights in the sky at or near to areas of seismic, especially extreme seismic, activity. That such a phenomenon is not explainable but has been witnessed is what captured me immediately. The mystery of it appeals to me for many reasons, not the least of which is that I have this sense that there is a similar mystery attendant to the best poems. It’s not just in what gets said but in how it gets said, and that sort of mystery is mythic, bardic, and endlessly sweet to me. The poem was composed within a few months of the Tohoku earthquake. My wife has had dreams of things happening before they’ve happened. I’ve had one or two. WTF, one thinks. And yet there is something as alive in the earth’s (write it) soul as there is in a poem. A poem written in German by Paul Celan, translated into English by Michael Hamburger, a poem not exactly explicitly stated but still astonishingly, breath-takingly clear: it rings, it resonates, it wallops, in some impossible-to-explain way, what feels like one’s actual soul. That kind of mystery, I mean, in which an insomniac hen may well be aware of or even foresee a catastrophic happening on the other side of the planet. Or perhaps in the vast nervy continuum of chickendom, a Japanese bantam beheld an otherworldly light in the sky, just before the earth itself moved. Much as I confess I love the word chickendom, I also have to say that I’m honestly and deeply attuned to animals. There’s nothing misanthropic in that. I simply have come to admire the way most animals, especially wild animals, are at ease within their own skins in ways most human beings never are. Of course, Cassandra Blue is both domesticated and anthropomorphized. It may be that her sadness is in that. Readers, please enjoy listening to Robert Wrigley read his poem, "Earthquake Light."